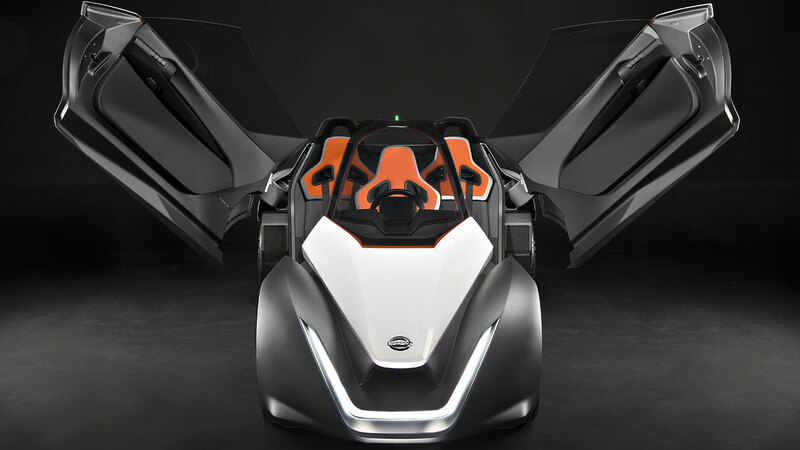 The BladeGlider is Nissan’s vision of an electric future with a name that sounds like it’s ready to do battle in the new series of Robot Wars. 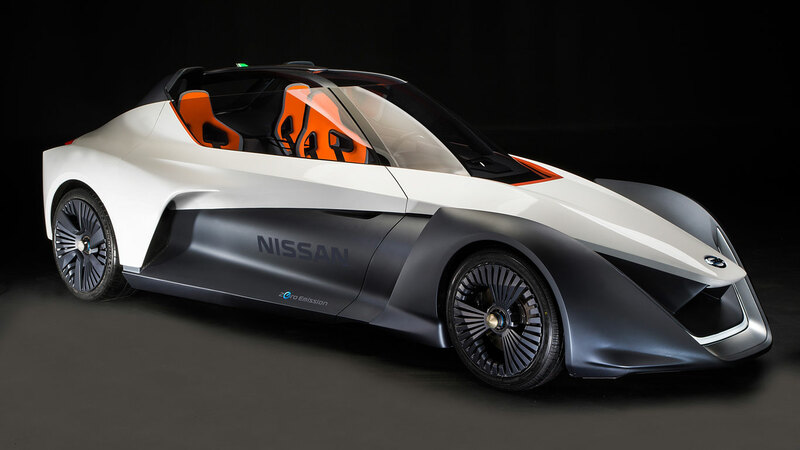 It’s being unveiled in Rio de Janeiro, which just happens to be hosting a major sporting tournament, of which Nissan is a key sponsor. 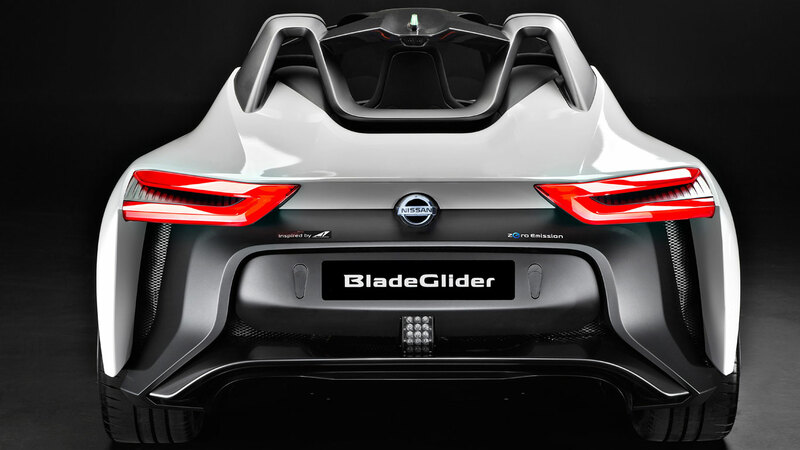 We cut to the chase to bring you more on the Nissan BladeGlider. 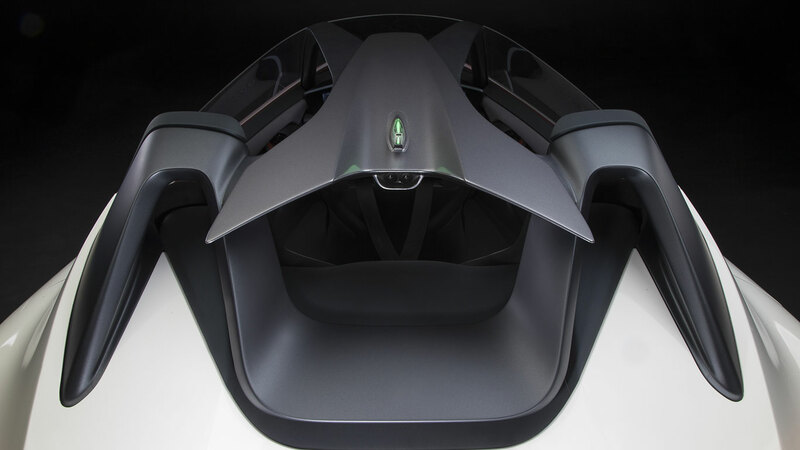 If the BladeGlider looks familiar, it’s because it’s based on the concept cars first shown at the 2013 Tokyo Auto Show. 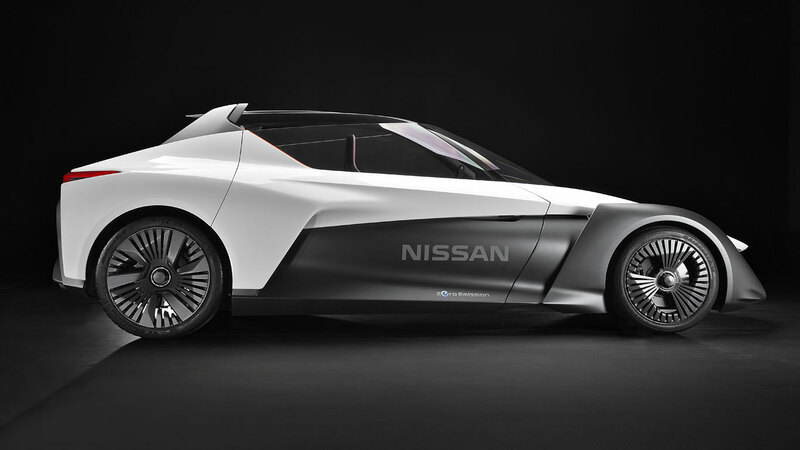 This new 2016 version looks a whole lot closer to production reality, although for the time being Nissan is keen to stress it’s a “working prototype”. How does a top speed of 115 mph and a 0-62 mph time of sub five seconds grab you? 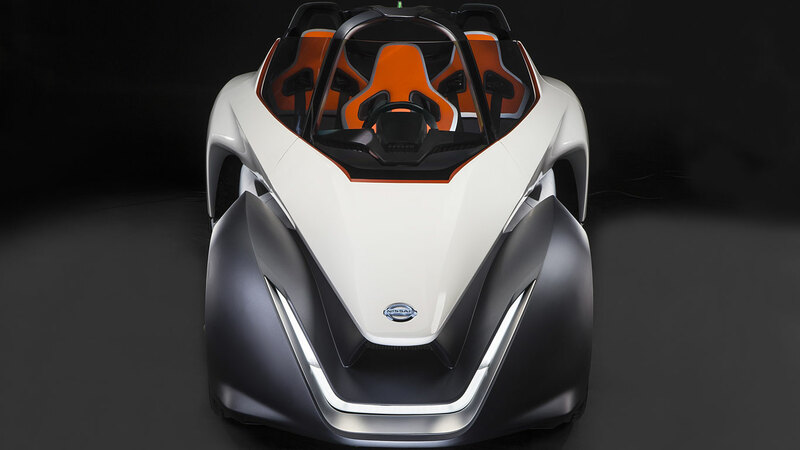 And because the BladeGlider is 100% electric, the entire 268 hp and 521 lb ft of torque is available from the moment you hit the ‘go’ pedal. Well you can’t call it the ‘gas’ pedal. Or the ‘loud’ pedal, for that matter. 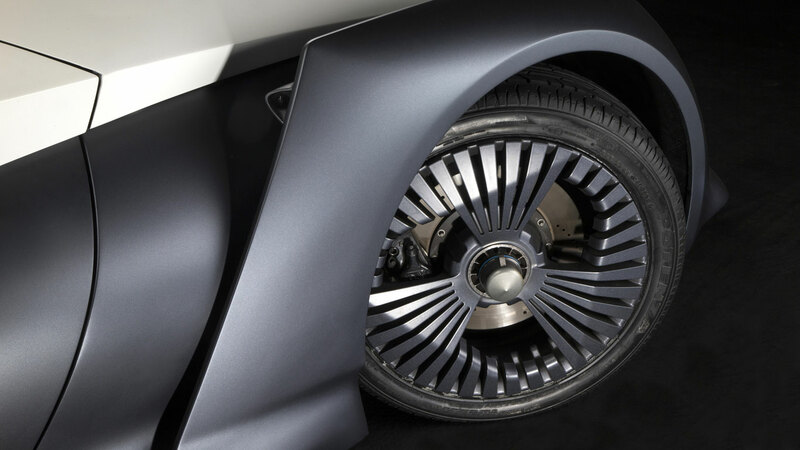 The rear wheels are powered by two electric motors – one for each wheel – with British-based Williams Advanced Engineering lending a hand with the development of the powertrain. 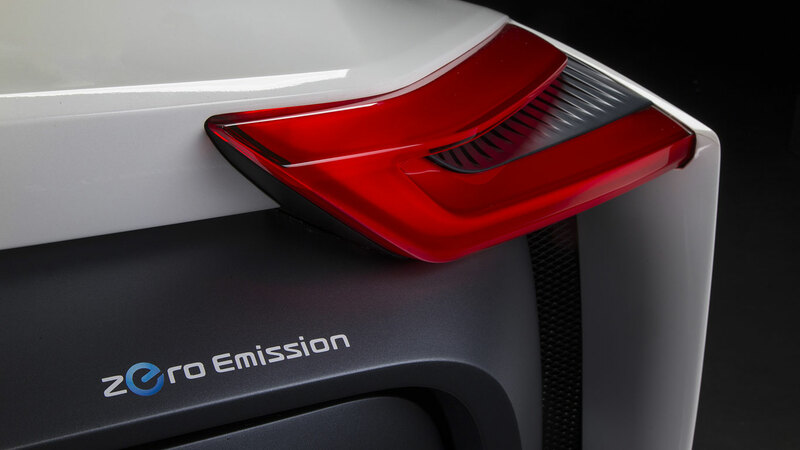 The motors are fed by a five-module lithium-ion 220 kW battery, with a bespoke cooling system developed to, well, keep things cool. 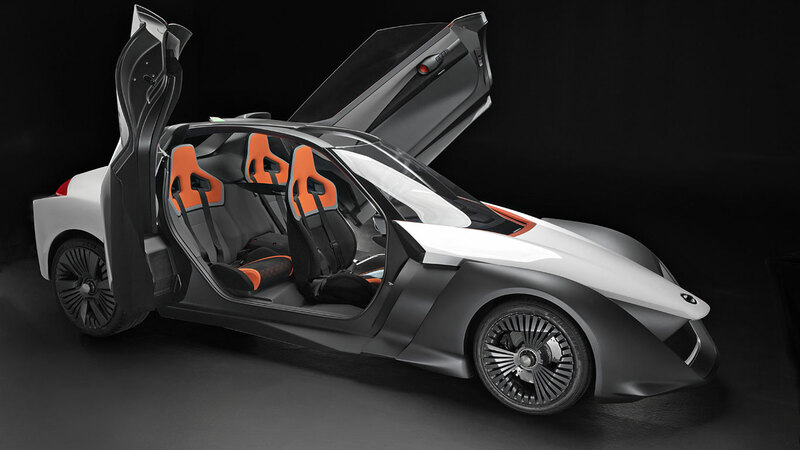 That things about ‘car-lovers’ – the BladeGlider features a drift mode. 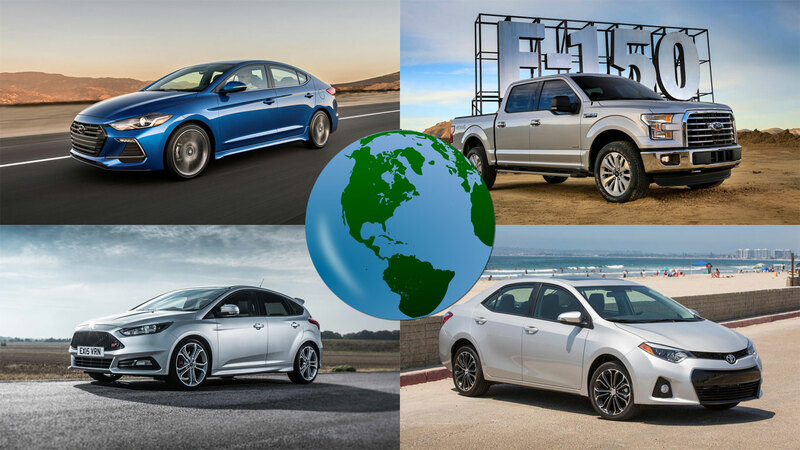 Yes, you heard that right: somebody has taken a look at the Ford Focus RS and thought, anything you can do, we can do silently. Aside from the tyre screeches. And the inevitable screams from your two passengers. Oh yes, about that. 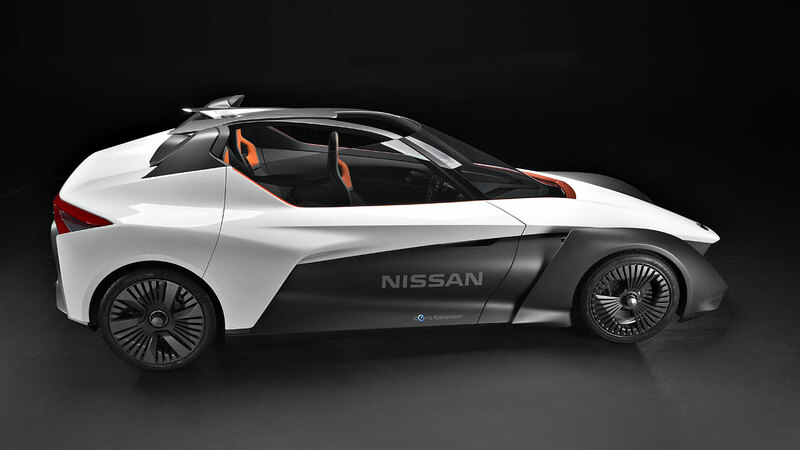 Nissan has taken a look at another car with performance pedigree to design a three-seat cockpit. 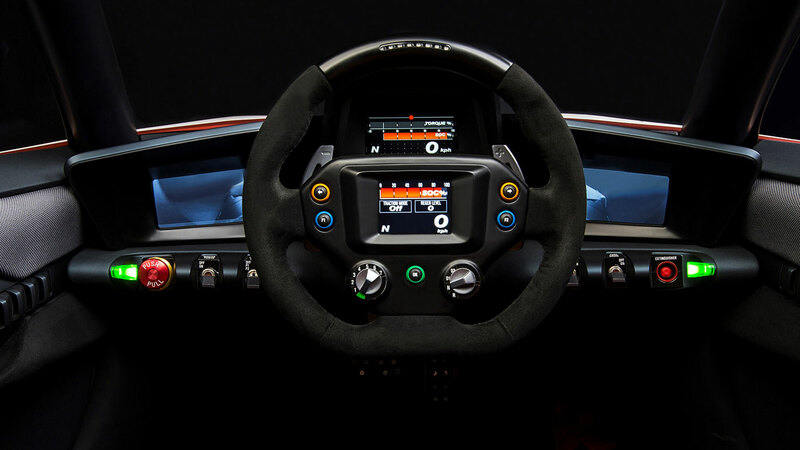 Bringing to mind images of the McLaren F1, the driver sits at the front of the BladeGlider, with each passenger sat behind in an off-set position, well placed to enjoy that drift mode. The drift mode is part of a torque vectoring system, which automatically sends more torque to the outside wheel to correct any brown-trouser moments. 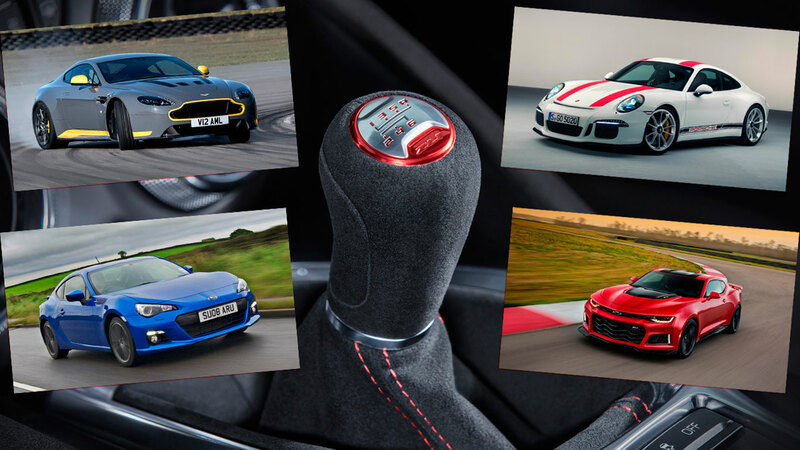 There are three settings: Off, Agile and Drift. 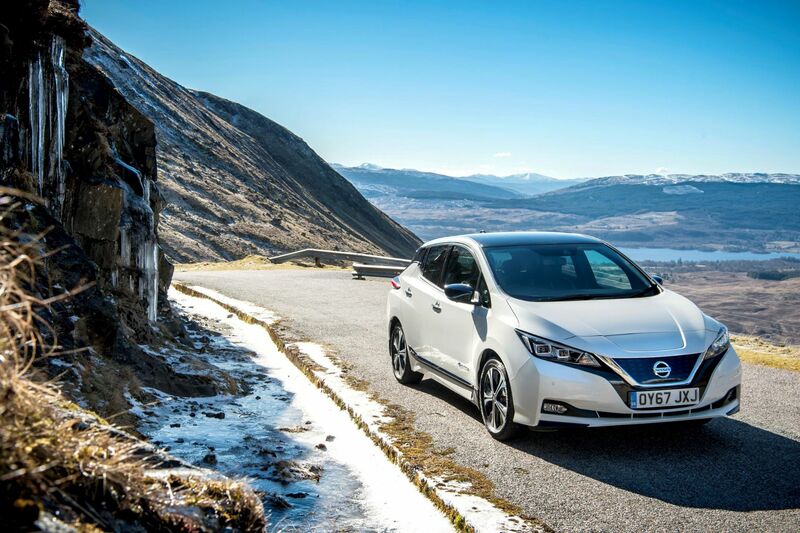 Last time we checked, drift mode wasn’t available on the Nissan Leaf. 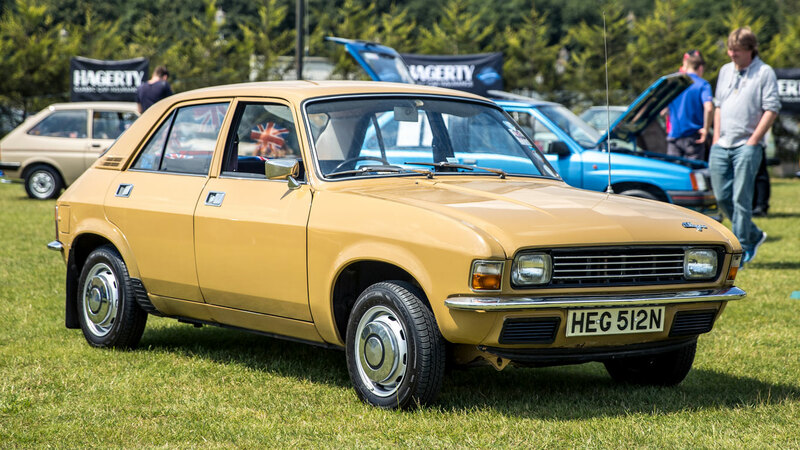 Once you’ve climbed aboard, having opened those ‘look at me’ rear-hinged dihedral doors, you’ll look up to discover an open roof with integrated roll-over protection, designed to provide “the exhilaration of an open-topped race car with the safety of a coupe”. The seats themselves feature four-point safety harnesses, while the central display is flanked by a pair of screens, showing the view from the rear-view cameras mounted just behind the front wheels. Because door mirrors are like so last century. 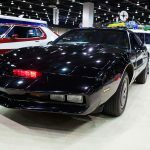 To make sure your bottom stays in place when hurtling toward the horizon, or indeed doing a great impression of an electric RS, the seats are trimmed in a blend of fabric and epoxy resin, resulting in a tough and grippy surface. The more you look at the BladeGlider, the closer it looks to reality. 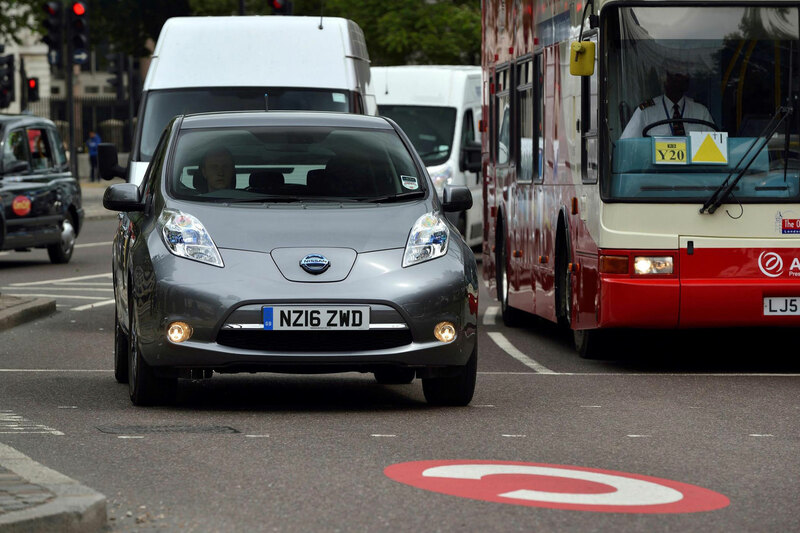 There are two colours available – Cyber Green and Stealth Orange, and we’d like to say you can place an order at your local Nissan dealer. But you can’t, not now at least. 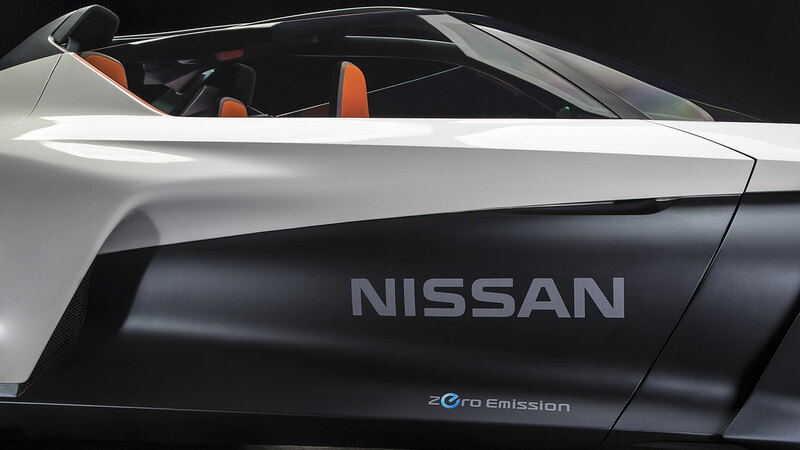 According to Carlos Ghosn, “These prototypes epitomise Nissan’s drive to expand its intelligent mobility philosophy, where driving pleasure combines with environmental responsibility. 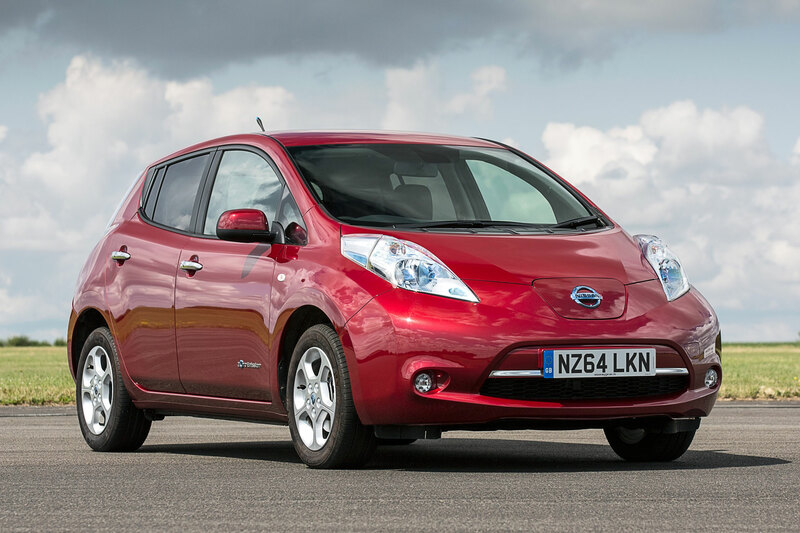 Nissan believes that enthusiasts should look forward to a zero-emission future.” We’ll all raise a glass of water to that. Two BladeGliders will be on display in Rio de Janeiro, one of which will be offering dynamic rides to media and VIPs. 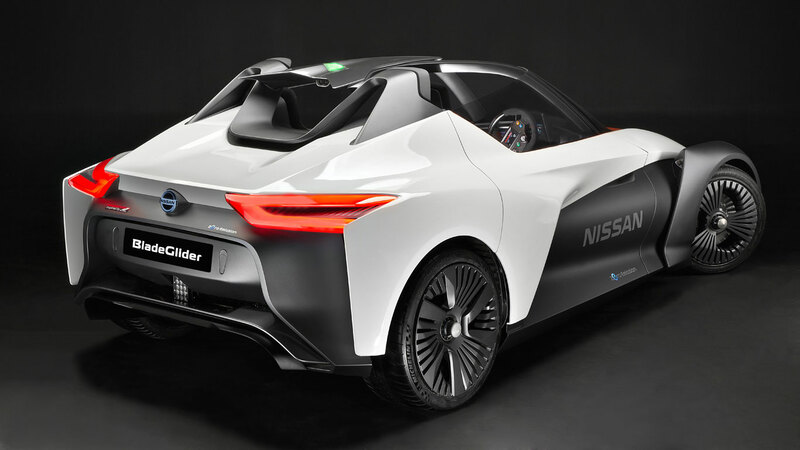 Can we look forward to the sight of Gabby Logan drifting in a BladeGlider, with Dan Walker and Hazel Irvine sat in the back? Here’s hoping.